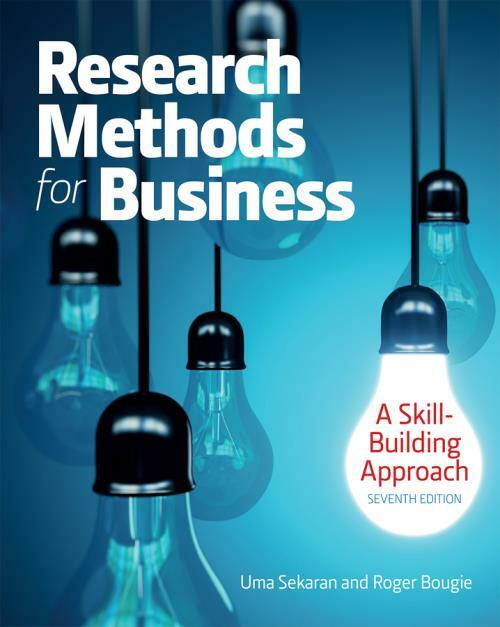 Research Methods for Business: A Skill–Building Approach is a concise and straightforward introduction for students to the world of business research. The skill–building approach provides students with practical perspectives on how research can be applied in real business situations. Maintaining Uma Sekaran s popular and accessible style of writing, Roger Bougie draws upon his extensive experience in the field to present an up–to–date guide on business research which is ideal for aspiring managers. The seventh edition has been fully revised and updated to include cutting–edge examples and enriched pedagogical features designed to improve student learning outcomes. There is now an increased emphasis on the relationship between the scientific and the pragmatic approaches to research, while the key concepts are explored and applied to real–life research throughout the book.